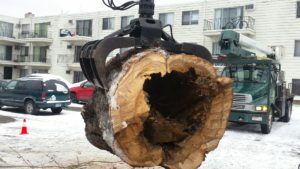 Are you looking for A Tree Service in Minnesota? You’ve got it! And our ISA Certified Arborists don’t just provide A Tree Service, we provide Complete Tree Services. For all your outdoor tree care needs, A Tree Services is just a phone call away! 612.724.6045. Whether it is time for Tree Removal, Stump Grinding, Trimming, Planting, Clearing or any other type of Arboriculture work we are here for you. We do our best to keep our prices affordable because we know, that unless you are a commercial or municipal property, chances are you didn’t budget for this. Many times, our customers call not knowing they were going to an hour earlier. Situations happen quickly in our industry, so we know that answering your call and getting to your location promptly is just as important as offering an affordable price for our tree care services. Tree Removal – Storms down trees, high winds break heavy branches and our cranes and equipment can get them off your property safely and to another location. Even if the dead tree is still standing, our team will drop it with precision and haul it away. Tree removal is risky, make the right choice and call our professionals today! Stump Grinding – Looking for a quick and painless way to remove a tree stump? Our tree stump grinder works very quickly! Just dial our number and we can give you a free estimate, just let us know the diameter of the stump. Tree Trimming – It is suggested to keep trees healthy they are trimmed every two years and as needed. If your tree limbs are looking droopy, it may be time for a trim. This can not only keep your trees looking good, but it can also prevent tree branches from breaking due to wind or storms. Tree Planting – Looking for a new addition to your yard? Plant a Tree! Planting a tree improves the air quality in its surroundings, provides shade, adds beautiful detail and matures to add value to your property. If that sounds like a wonderful investment contact us today to talk more about it. Tree/Shrub/Bush Clearing – Whether it’s an overgrown piece of your landscaping or vegetation creeping onto busy roads, our company has the machines, operators, skills and experience to resolve any type of clearing needs. Call us for A Tree Service today! 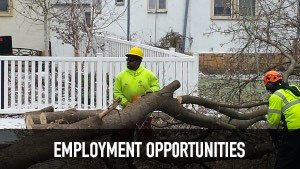 This entry was posted in Tree Care Services MN and tagged Clearing, Planting, Stump Grinding, tree removal, Tree Service, Trimming. Bookmark the permalink.